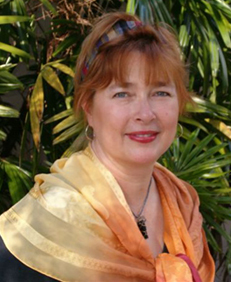 Robin Saenger, former Deputy Mayor of Tarpon Springs, Florida initiated Peace4Tarpon, a movement to make Tarpon Springs into a trauma-informed community. See their website: www.peace4tarpon.org. This article originally appeared in AMI/TIRA Newsletter (Vol. X, No. 3) November 2013 and is reproduced with permission. Please tell us about Peace4Tarpon and what inspired you to start it? Peace4Tarpon was inspired by my time as an elected official in Tarpon Springs when I was involved with many community partners doing great work to address our community issues such as homelessness, domestic violence, children’s issues, etc., and I wondered why we didn’t seem to be putting a dent in the problems. I started searching for the root causes of the issues to see what we must be missing with our “solutions” and discovered that violence seemed to be the common denominator of the challenges. It seemed logical that creating a peaceful community would change things for the better, but there was still something missing. The missing link, so to speak, was trauma element. I discovered that if we didn’t address the trauma, we couldn’t really resolve any of those pressing issues. Peace4Tarpon is all of us looking through that trauma lens to see the problems realistically and being able to find true solutions. It’s a very broad initiative because we deal not only with awareness of the causes and consequences and resolution of trauma, but also with prevention. One example of this is our ongoing efforts through educational programs to reduce the number of our children who experience sexual abuse. This is one way to curb future challenges of that particular trauma. In short, we are raising awareness, engaging community, and fostering partnerships. A trauma-informed community takes a trauma informed approach. We understand that there are reasons for behavior. Violence does not happen randomly, but comes from verbal and emotional abuse to bullying, assault, etc. We will look at things differently through this understanding and recognize that, for example, the bully is a bully for a reason and seek to not only understand that behavior but influence and transform it as well as assist with the person who was bullied. It’s looking at the whole picture, not just a tiny piece of it. In the long term, reducing violence will create a healthier and more thriving Tarpon Springs as the many costs of trauma decrease. It’s a very long term initiative and will take many years, even several generations to realize the long term benefits. From your own experience, having taken the TIR Workshop and making use of what you have learned, how does it fit with what you are doing with Peace4Tarpon? We must have many tools in our toolbox to address the many facets of trauma. TIR is the most powerful trauma-specific tool I have found. When a person is ready to address their trauma and resolve it, I know of no other protocol that is more profound with such great and lasting results. TIR is simply amazing and because it can be used by anyone, not just mental health professionals, I see it as a way for many folks in our community to be able to participate in the resolution of trauma and help each other in a meaningful way. What is your vision for the future concerning TIR and related techniques and your community? Continuing workshops introducing folks to “Critical Issues in Trauma Resolution”. (A huge thanks to Dr. Bob Moore for sharing of his time and treasure to this end!) and then the full training for TIR and follow-up trainings so that we have a cadre of residents who can fully participate in lessening the trauma of their family, friends, neighbors and city. We are a “work in progress” but definitely on our way! This is such an exciting initiative and I love it when the trauma “nickel” drops for folks and they have that “AHA!” moment of understanding trauma and its impact. The only thing better than that is when they see that trauma resolution is possible and they don’t have to just live with it when they are ready to move past it.